Stormwater is an all-inclusive terms that refers to any water running off of the land's surface after a rainfall or snow melt event. In a vegetated or forest watershed, the majority of the precipitation infiltrates the soil and ultimately percolates deeper into groundwater. What does not infiltrate is evaporated into atmosphere. The urban development occurs the percentage of impervious surfaces increases. The precipitation the lands on the buildings and paved surfaces runs off the landscape and eventually is discharged into receiving waters. This runoff, also known as stormwater runoff, must be properly directed or soil erosion and flooding can occur. Managing stormwater is a multifaceted discipline. 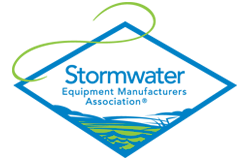 The purpose of the SWEMA website is to hold you find good information on the important topic of stormwater. The National Pollutant Discharge Elimination System (NPDES) regulates stormwater discharges from three potential sources: construction activities, industrial sources and municipal separate storm sewer systems (MS4s). Most stormwater discharges are considered point sources, and operators of these sources may need to have an NPDES permit. The purpose of the permitting mechanism is to prevent stormwater runoff from washing harmful pollutants into local surface waters such as streams, rivers and lakes.